The fact that AIDS remains a huge issue but is largely being ignored by the media as a “done” disease seems to be something of a theme. At the same time, shops purporting to sell one thing while instead raising awareness of a societal issue is also something of a campaign tactic du jour. 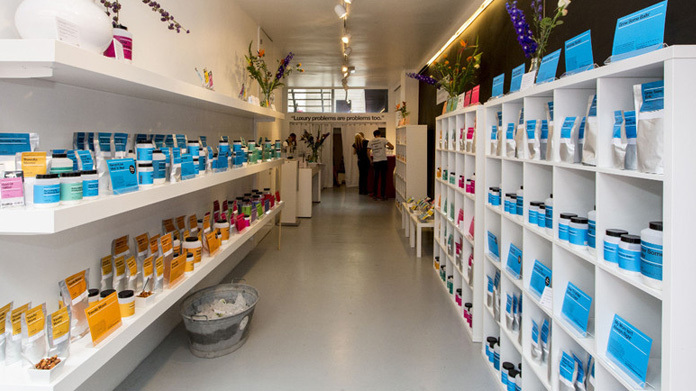 So bring those two together beautifully and you end up with the First World Problem Store, an Amsterdam dispensary where there’s a pill (okay, some mints) for just about any modern ill.
Bad Wi-Fi connection? Never knowing what to wear? Not enough Instagram followers? Jokes occasionally miss-timed? All problems catered for. And the money spent alleviating these first world issues goes to a good cause because the fact is that 22 million people are living with AIDS without access to vital medication.